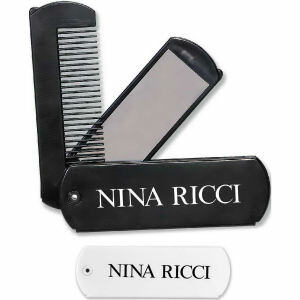 Restore your business’ beautiful appearance with custom promotional hair brushes. These custom logo hair brushes are exactly what you need to promote a professional appearance and your brand at the same time. 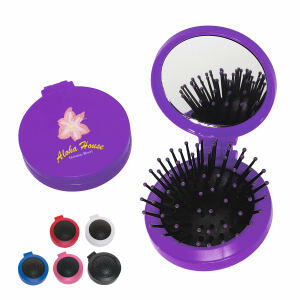 Custom printed hair brushes are another great marketing item to give away at trade shows. 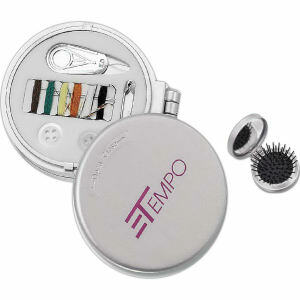 Give clients customized hair brushes for their daily personal beauty regime. They will thank you for such a useful promotional product by carrying your logo imprinted hair brushes with them everywhere! Here at IASpromotes.com, our selection of custom promotional hair brushes comes in a variety of materials, colors, and sizes to be imprinted with your company name and corporate logo. At any time during the day, you can tame flyaway hair and ensure a professional appearance before meetings with these hair brushes. Choose custom promotional hair brushes and brush away your competition!